It's most likely happened to you. I say that this has most likely happened to you because it's definitely happened to me. Before my first trip to New Zealand, I was worried that the real landscapes would never be able to live up to how they looked on the big screen. All those snowy mountains and green valleys and blue lakes ARE real. They are 100% real, and they look even BETTER in person. New Zealand is just incredible like that. 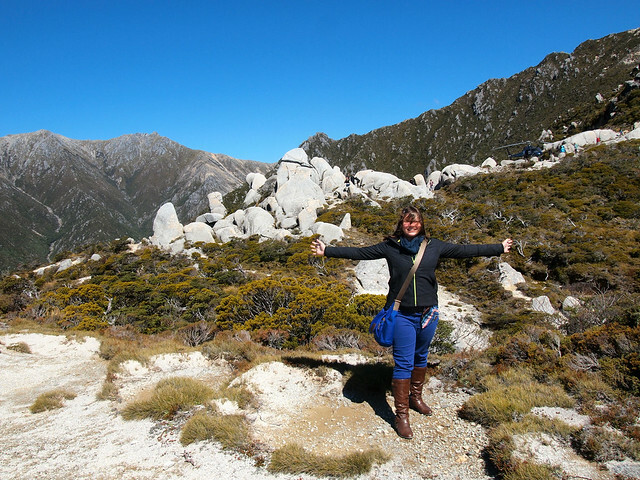 This was hit home for me again on my fourth trip to New Zealand when I booked a helicopter tour out to a remote location in Kahurangi National Park. 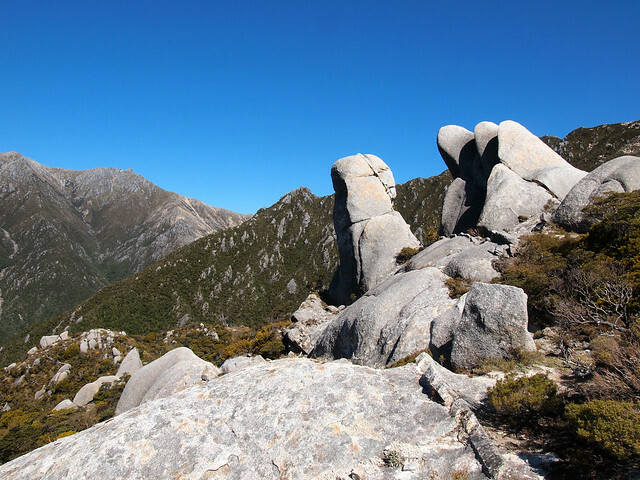 The location is known as Mount Olympus, and it's accessible only by helicopter. 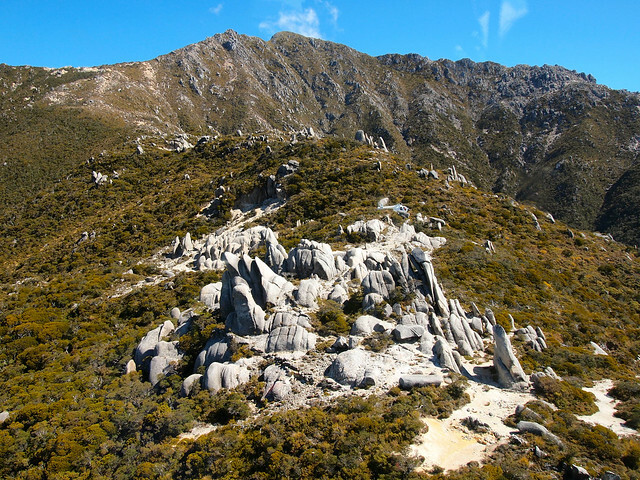 It was used as a filming location in the first “Lord of the Rings” movie (the scene where the Fellowship hides from evil black birds sent to spy on them by Saruman), and it's one of those places you see on screen and just assume that it was filmed in a studio with the background CGI'd in. But no. 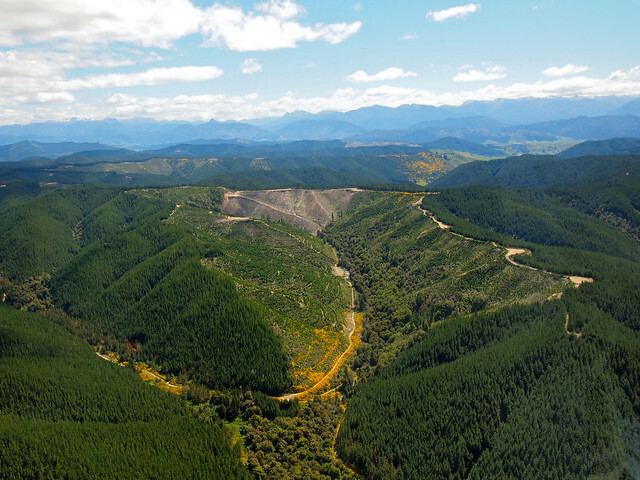 Peter Jackson does nothing half-assed when it comes to the movies he makes — AND he loves to spotlight some of New Zealand's most epic landscapes. And the flight there isn't too shabby, either. 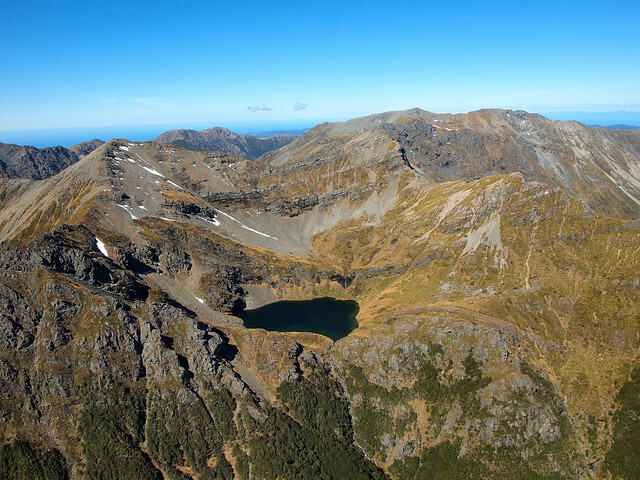 I got to this spot on a tour with Reid Helicopters out of Nelson. 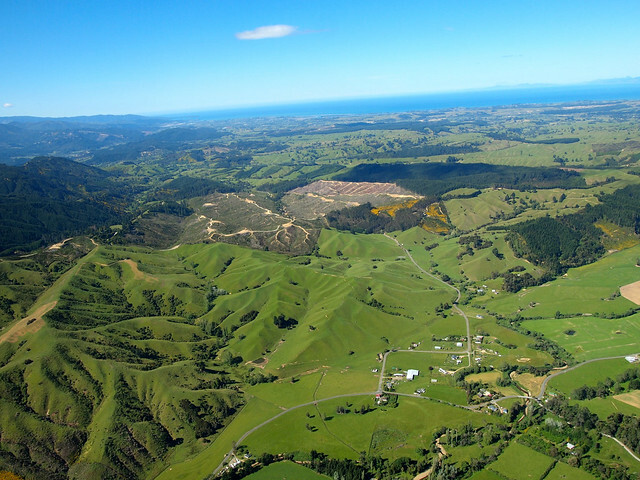 It was actually one of their pilots who flew Peter Jackson and his crew of location scouts to this site more than a decade ago when looking for locations for the “Lord of the Rings” trilogy. 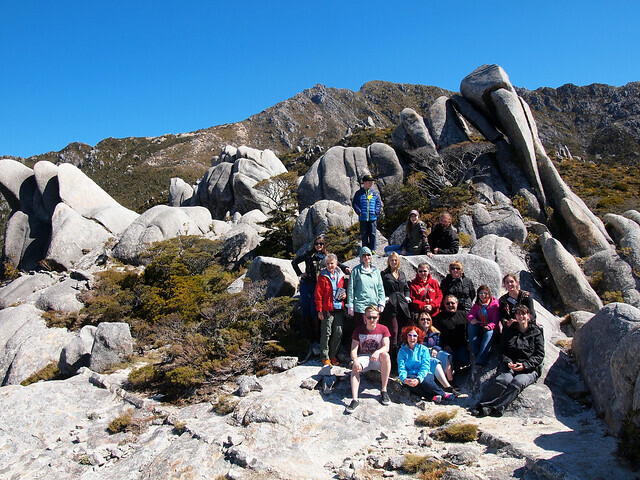 They know their stuff, and they also love showing off this part of New Zealand to anyone who's interested. 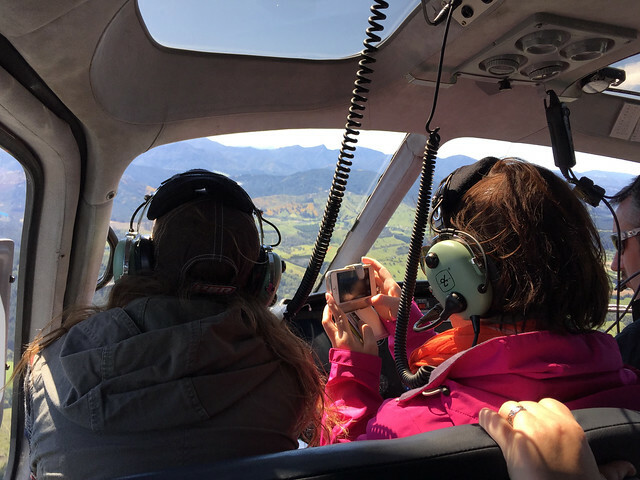 Since this tour is an optional extra when you book a Lord of the Rings tour with Red Carpet Tours, there were 16 of us flying in three different helicopters to the site. Seeing how difficult it was to get 16 of us up there, I can't even begin to imagine how tough it must have been to orchestrate getting a full cast and film crew up there to film those “South of Rivendell” scenes! 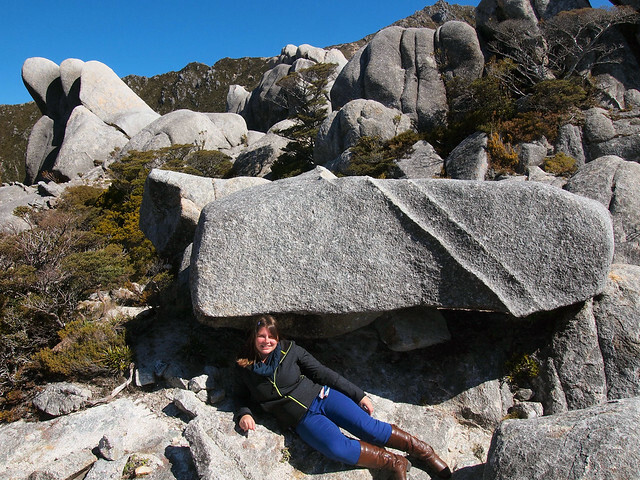 We landed on Mount Olympus, and had some time to climb the rocks and re-enact a few scenes. Our pilots doubled as tour guides, pointing out where different things were filmed and also telling us some stories (like how actor Sean Bean was terrified of helicopters). 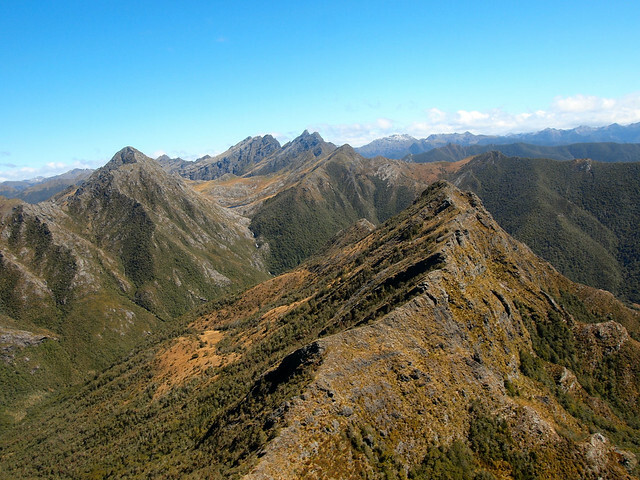 It's one thing to take a helicopter ride in New Zealand over a remote national park. 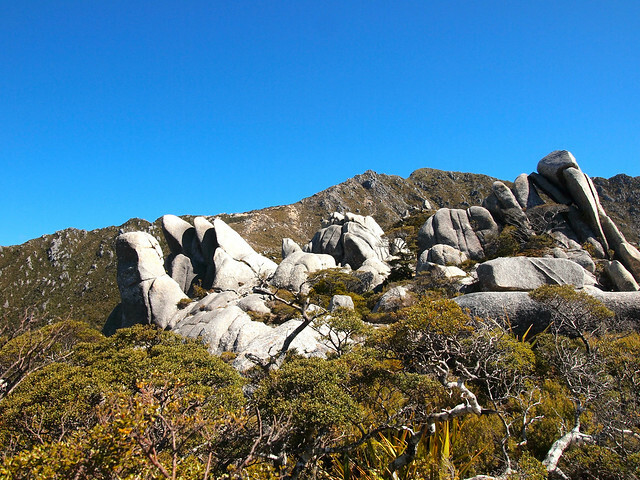 But it's another to actually get to LAND at an incredible location in said remote national park. The wind was blowing and bitterly cold, but none of us really cared. 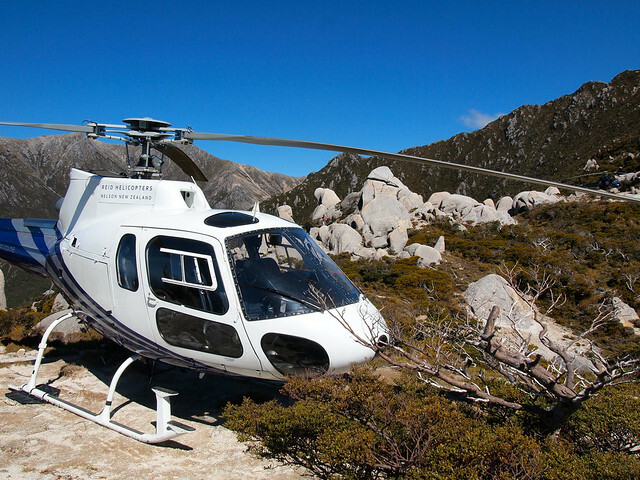 Helicopter tours aren't cheap (because they guzzle gas at an alarming rate). 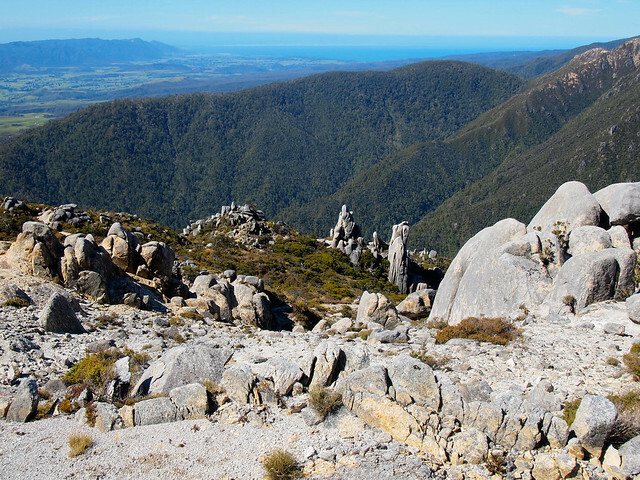 But, if you have the chance to do something this unique in a place as incredible as New Zealand, I would definitely tell you to go for it. I don't think you'll regret it at all. I went on the “” tour with Reid Helicopters. 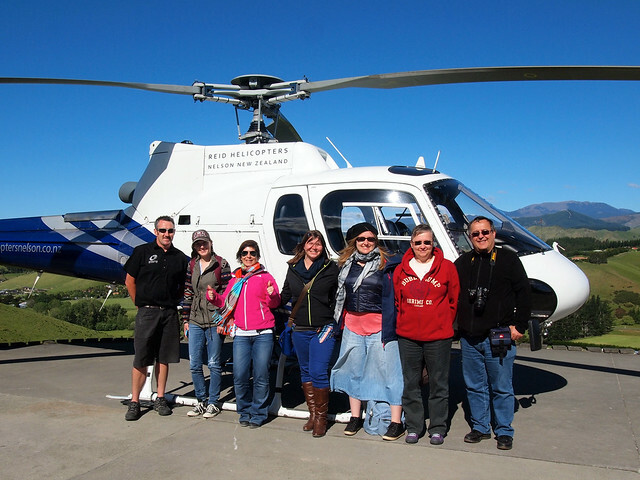 This tour consists of about an hour in the helicopter, and one landing atop Mt Olympus. 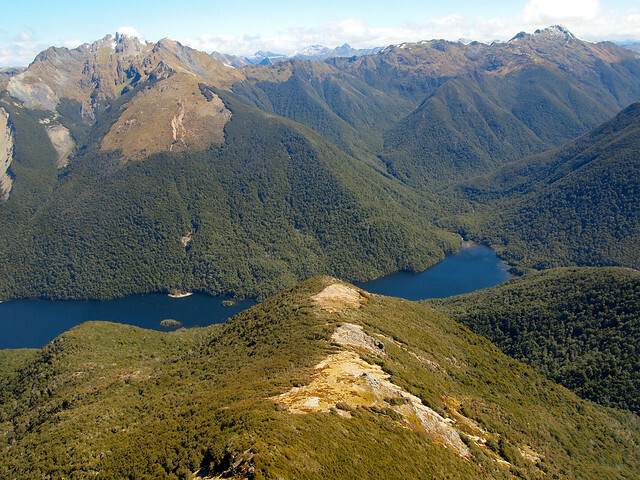 Is this an adventure YOU would want to have in New Zealand? *Note: I did receive a discount on this tour from Reid Helicopters, which was an optional extra as part of my with partner Red Carpet Tours. As always, though, all opinions are my own! Oh yes, re-watching Lord of the Rings before visiting New Zealand is a must! There are some really cool helicopter flights you can take there – but this is probably one of the most unique! 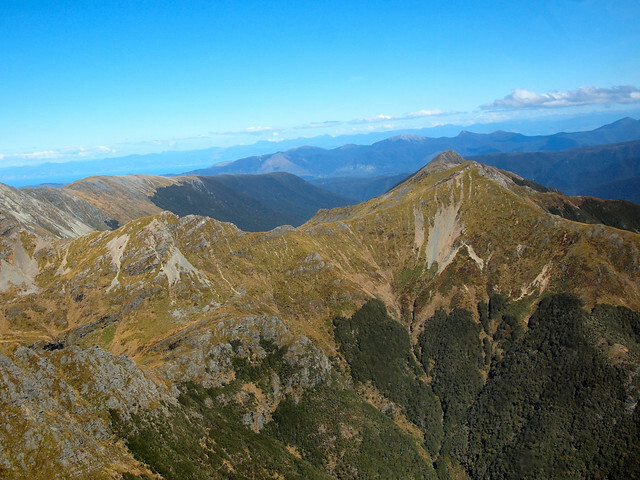 A helicopter ride over such splendid mountains must be an awesome experience. 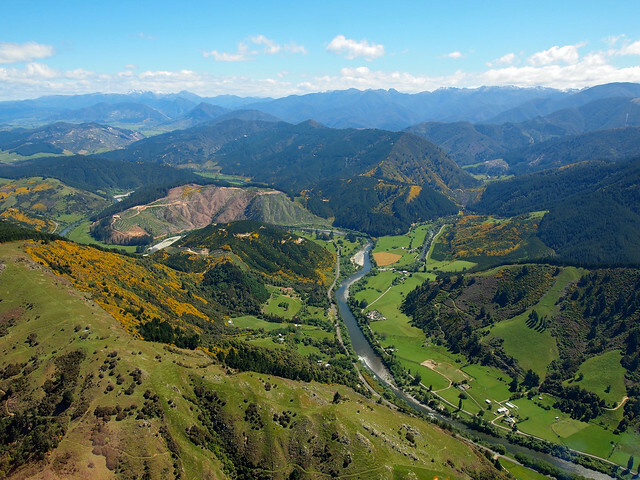 New Zealand is truly an incredible land, and the best part is that it is still quite unexplored. Yes, it would be nice if they weren’t so expensive. But, if you pick the right tour, I don’t think you regret it much, because it’s such a unique experience! Incredible photos. I was blown away by the colour of the rivers and lakes in New Zealand. People often describe water as being blue but I never believed water could actually be full on blue. I find it almost mesmeric. Oh yes, I agree! The colors in NZ are unreal! Looks beautiful! 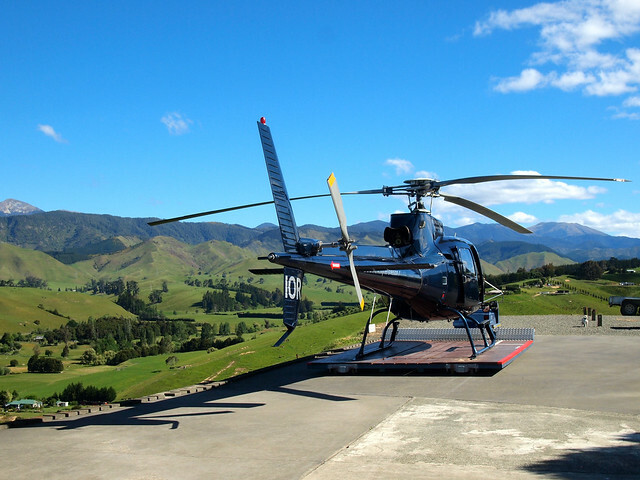 I’d love to take a helicopter tour someday and I think New Zealand sounds like the perfect place to do it! 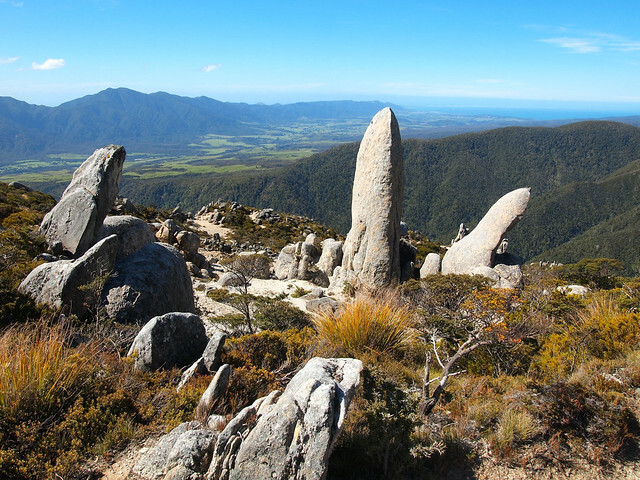 It definitely is a great place to do it – there are so many epic landscapes in NZ! “Surreal” is right! Such stunning scenery just about everywhere you go! It’s one of the reasons I love this country so much. Yup, it sure is! And seeing it from above really was amazing! Great pictures. The second one looks like a hand made from stones!!! 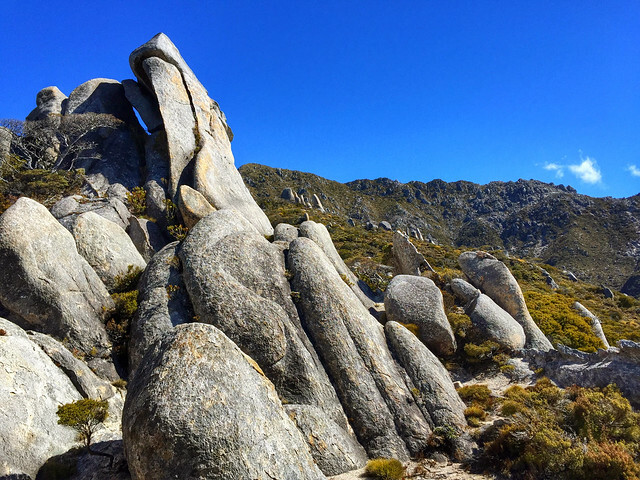 I LOVE that rock formation! Absolutely stunning! New Zealand is quite literally the edge of the world, which I think only adds to its magical, ethereal feel. 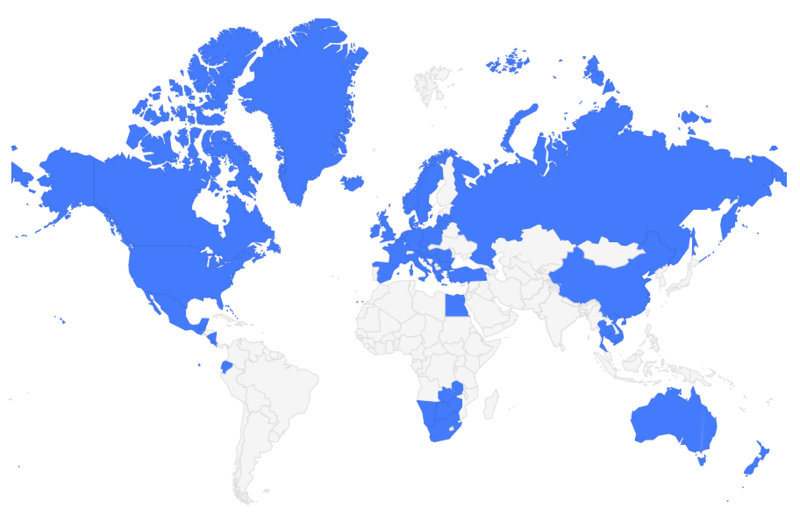 I’ll be researching every Lord of the Rings location I can find as soon as I make it over there!